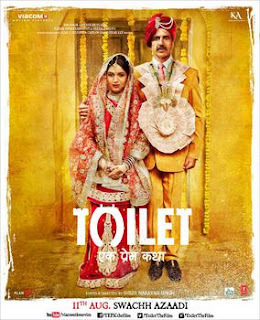 Toilet Ek Prem Katha is made on a very noble topic and clearly exposes the lack of basic sanitation in our rural areas. In today's scenario superstars aren't Khan or Kapoors, but it's the plot. That's why a film like this with a fresh plot interwoven with a social message is a good recipe for mass acceptance. What I really like about the film is that arguments against making a toilet at home are brought out emphatically. To us it might look pointless but from their point of view it might make all the sense. Unless their point of view is taken into consideration and is addressed in their own language, it is difficult to bring a change in society. 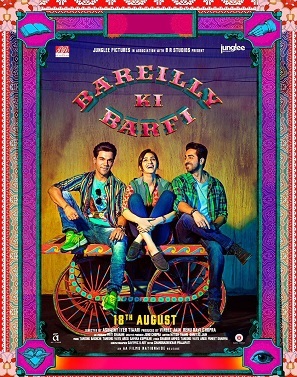 Film starts off at a fast pace without wasting much time in boy wooing the girl and romancing around the trees. Director comes to the point quickly and stays focused on the main issue without any digressions, which keeps the film tight. Director Shree Narayan Singh is a debutante director but a successful editor and ensured that editing of film is perfect. Akshay Kumar (as Keshav) brings in a lot of liveliness in his character. Someone, who is not well read and shares same mentality of other people in village. Yet, he is not someone who out-rightly rejects a different opinion. When he sees a merit in bringing a toilet home, he is ready to fight with whole system. I truly appreciate choice of films, Akshay Kumar is making. He is like an old wine, which tastes better as it matures. Bhumi Pednekar plays role of wife (as Jaya) and is someone with great potential. She wowed everyone with her debut film "Dum laga ke haisha". While this film is all about her mission but as an actress, she doesn't leave much impact. To a large extent, her role is also a bit passive with 2-3 fiery dialogues here and there. But all said and done, she is one of the finest actresses of current lot. Divyendu Sharma (as Naru) looks quite confident in all his scenes with Akshay Kumar. Supporting actors with insignificant roles tend to get shadowed by leads in most films. But, I liked the way Divyendu played his part with full conviction and comfort. Bollywood has been missing the terrific Sudhir Pandey for quite some time. He is a household name on small screen who hasn't got his due on silver screen. I don't think anyone could have done his job better. Totally outstanding as the orthodox antagonist father-in-law. Other character actors include Rajesh Sharma, Anupam Kher, Atul Srivastava (TVF Fathers fame) and Ayesha Raza Mishra (Bang Baaja Baarat fame). Overall a superb ensemble with all fantastic manjhe hue kalaakar. Music of the film is again outstanding. Each song is a part of the plot and takes the story forward. Subah ki train is a cute number and you'll understand its significance once you watch the film. Hans Mat Pagli is soothing and touches your soul. Gori tu latth mar has beautiful picturisation of Brij holi with folk dance steps done well by Akshay Kumar. But, what makes the music outstanding is voice of Sonu Nigam and Shreya Ghoshal. In my opinion, they are the most talented and gifted singers of current era. What I didn't like in the film is magnitude of change, it tries to bring in towards the end. It is difficult to show convincingly in 150 min that orthodox mentality of people can be changed, Government inefficiency can be improved and a mass revolution can be brought in by 2 individuals. It was unnecessary and made the impact a bit artificial. A small win of changing mentality even in one home and being an inspiration for others to start revolution would have been more realistic. Verdict: Overall, this is a film which everyone should watch and Government should screen it in all rural areas. Difficult to say, if it would bring in a revolution but it could be a small step towards changing their mindset definitely. Watch it with your family and you won't regret spending time and money on it.